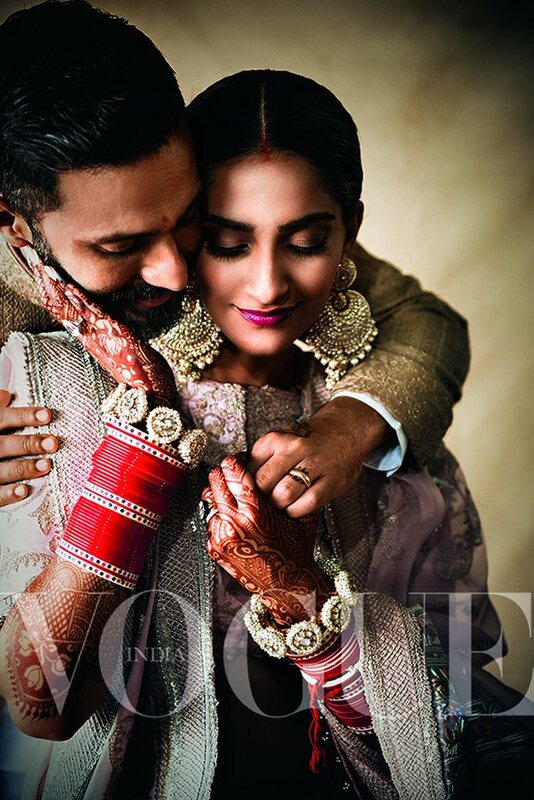 HomeCinemaMasalaThe wedding picture of Sonam Kapoor and Anand Ahuja is the Cover of Vogue this time and here’s how the couple got Candid in the magazine! Sonam Kapoor aka Sonam K Ahuja, who was receiving rave reviews for Neerja, returned to the big screen with Veere Di Wedding. The actress, amidst all the film commitments, also planned her own wedding with none other than long time beau and businessman Anand Ahuja. While her wedding affairs were low key compared to her filmy counterparts, we would definitely say that the functions of this fashionista were definitely reported quite extensively in media. 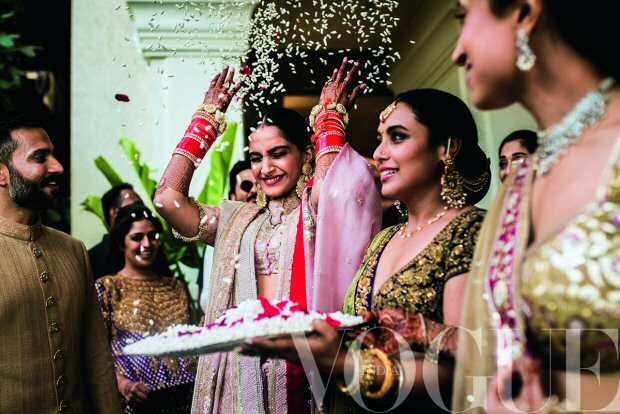 However, although the reports covered many aspects of it, the magazine Vogue got a sneak-peek into the functions and now, they have gone ahead and given us glimpses from the wedding. 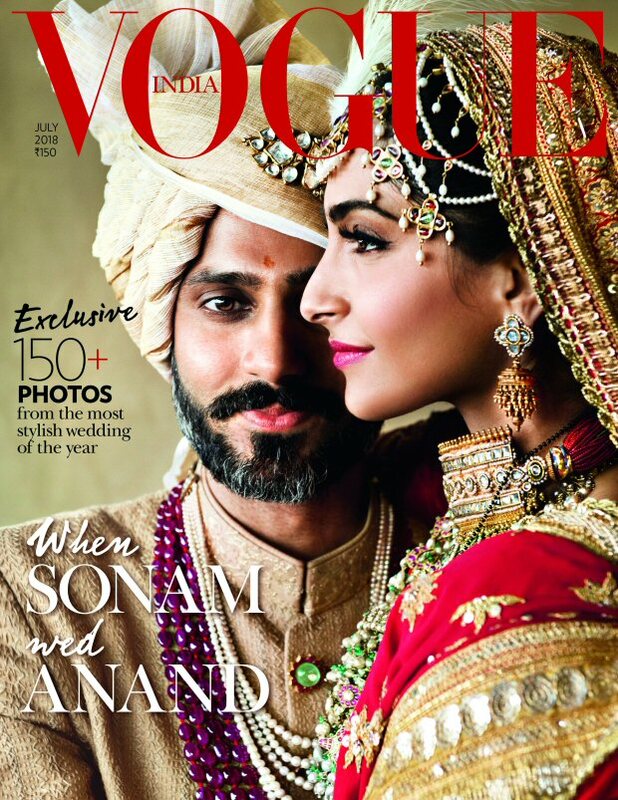 In fact, the recent edition of Vogue also features the wedding picture of Sonam Kapoor and Anand Ahuja as the cover of the glossy. The magazine also features an interview where the couple has candidly revealed several details about each other and their beautiful relationship that culminated into marriage. “He’s non-judgemental- with everybody. Very open-minded and progressive. 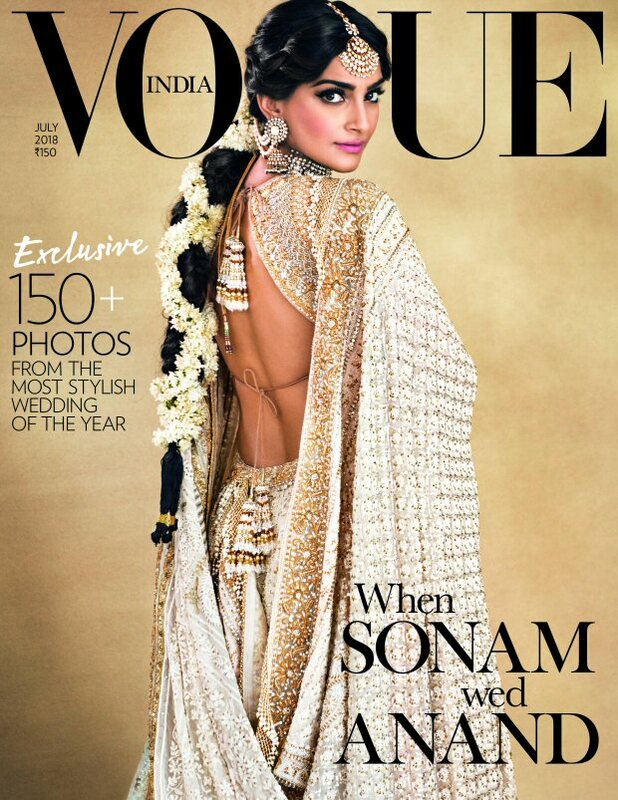 I’m a little conservative and close-minded about a few things, and he’s taught me to see the other side, to look at things with a lot more compassion and care, to be a little more pragmatic and practical, as I can be very emotional and quick to judge sometimes, which is not nice,” added Sonam K Ahuja.